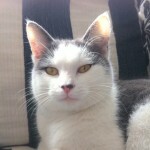 Dusty, a delightful ten month old kitten, suffered a terrifying ordeal recently when he was hit by a car. Although no bones were broken his breathing was laboured after the trauma and xrays showed he had suffered a diaphragmatic hernia. The force of pressure on Dusty’s abdomen had created a tear in, and made an abnormal opening through his diaphragm, the muscle that helps you breathe. This opening allowed part of the organs from the abdomen (stomach, spleen, liver, and intestines) to go up into the chest cavity near the lungs. Severe breathing difficulty developed, because of ineffective movement of the diaphragm and crowding of the lung tissue, which caused a degree of lung tissue to collapse. Prompt surgical intervention enabled us to repair a huge diaphragmatic hernia in which there was 40% avulsion from the body wall. Involved post-operative care including chest drainage and potent analgesics saw daily improvements and we are delighted to report that Dusty is now doing very well at home. 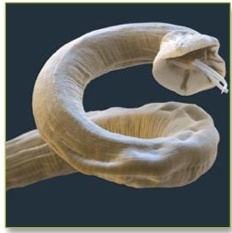 roundworms and tapeworms. 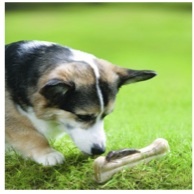 However a new and serious threat to dogs is lungworm infection. Roundworms are spaghetti-­‐like in appearance and live in the small intestines. The adult worms shed thousands of tiny eggs, which pass out in the faeces and contaminate the environment. Dogs and cats are re-­‐infected by unwittingly ingesting the eggs. The eggs also pose some risk to children if accidentally swallowed. and severe than in dogs.